See the San Francisco Museums and experience some of the best museums in the world. The San Francisco museums offer a great variety of choices depending on your interests the the arts, culture and science. You can visit the Exploratorium, see San Francisco's Museum of Modern Art, stroll around the Japanese Tea Garden, enjoy the fine art at the de Young Museun or the Legion of Honor, and see the scientific exhibits at the California Academy of Sciences. Many of these are located in Golden Gate Park, in the heart of San Francisco. 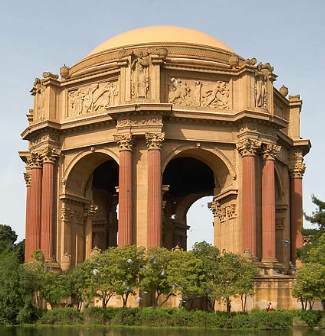 The San Francisco Palace of Fine Arts is a beautiful historic landmark in the SF Marina district. This location includes the Exploratorium, a fun science museum. Inside the Exploratorium is the Tactile Dome, where you can crawl, climb and slide in pitch black. This popular experience sells out well in advance, especially during the summer. Telephone number Tactile Dome: 415.561.0362 (advanced reservations recommended and required during the summer months) Extra admission fee. Hours: Open Tuesday - Saturday 10 AM - 5 PM Closed Mondays (Except for some holidays, such as Memorial Day, Labor Day, Martin Luther King Day and President’s Day). Ticket Prices: $29.95 adults ages 18 - 64, $24.95 teens ages 13-17 and seniors, $19.95 youth ages 4-12, kids ages 3 and under are free. Tactile dome admission costs an additional $12. 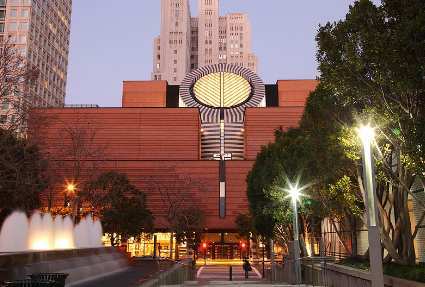 If you are an art lover, don't miss the San Francisco Museum of Modern Art, one of the best San Francisco Museums. The SF MOMA has over 27,000 works of art in its collection, including paintings, sculptures, and media art. They also have new traveling exhibits, so there is always something new to see each visit. Hours: Winter hours Friday - Tuesday 11 AM - 5:45 PM and Thursday 11 AM - 8:45 PM. Closed most Wednesdays. Summer open at 10 AM. Closed on New Year's Day, Thanksgiving, and Christmas day. Tickets: Prices may vary based upon exhibits. $25 adults, $22 seniors 62+, $19 students with ID, children free with adult, active military free. Free first Tuesday each month. Half price Thursday evening 6 PM - 8:45 PM. 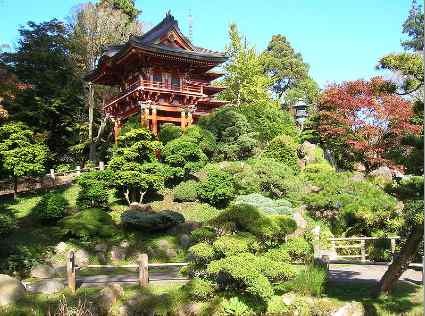 The San Francisco Japanese Tea Garden is one of the most popular attractions in San Francisco. Located in Golden Gate Park, the Japanese tea garden includes an arched drum bridge, pagodas, stone lanterns, stepping stone paths, native Japanese plants, serene koi ponds and a zen garden. During March and April, the cherry blossom trees bloom throughout the garden. Enjoy a cup of tea at the Tea House. Hours: Winter hours November 1 - February 28 opens 9 AM closes 4:45 PM, summer hours March 1 - October 31 open 9 AM close 6 PM. Open all holidays, including Christmas and New Years. Tickets: $8.00 for San Francisco visitors, $6.00 for SF residents, discounts for children and seniors. Free admission before 10 AM on Monday, Wednesday and Friday mornings. The de Young Museum in San Francisco has one is one of the fine art museums in San Francisco, and the fourth most visited art museum in North America.The permanent collection includes American Art, Photography, African Art, Oceanic Art, and Art of the Americas. Hours Open Tuesday - Sunday from 9:30 AM to 5:15 PM. From March through November open Friday evenings until 8:45 PM. Closed on Mondays and some holidays including Christmas and New Years. Tickets: $15 for adults (San Francisco visitors and residents), $10 for seniors, discounts for youth and students, children 17 years of age and under free. Audio tour an additional $7 for the permanent collection, and most special exhibitions. Free admission on the first Tuesday of each month. The California Academy of Sciences is one of the premier San Francisco museums, focused on the sciences. Located in Golden Gate Park, the San Francisco California Academy of Sciences includes the Steinhart Aquarium, Morrison Planetarium, and the Kimball Natural History Museum. On top of the building is a 2.5 acre living roof, and inside is a 4 story tall rain forest. It also includes an earthquake exhibit (this is California after all). Hours: Open Monday to Saturday 9:30 AM to 5:00 PM and Sunday from 11 AM to 5 PM. From March through November open Friday evenings until 8:45 PM. Closed on Thanksgiving and Christmas holidays. Ticket Prices: $34.95 for adults, $29.95 for seniors, students and youth. Child ticket only $24.95 for ages 4 - 11. During peak periods of attendance, an additional $5 surcharge at the museum entrance, so it is better to buy tickets online. There are also special academy and adventure tours for an additional fee. All San Francisco residents can get free admission twice a year on Neighborhood Free Weekends. Also, there are Quarterly Free Sundays with free admission. Arrive early or they might be sold out. The Legion of Honor is one of the best San Francisco museums, built in the 1920's to promote French art in California. 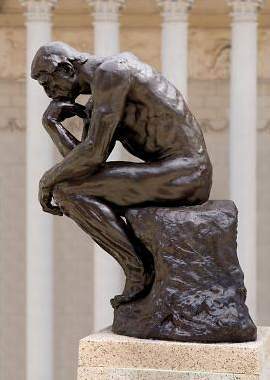 Located in Golden Gate Park, the San Francisco legion of Honor is home to European and ancient art from the last 4000 years, including paintings by Monet and Rembrandt, and a bronze cast statue of August Rodin's The Thinker. Legion of Honor Address: 100 34th Avenue, at Clement Street, in San Francisco's Lincoln Park, San Francisco Calif. Hours: Open Tuesday through Sunday 9:30 AM to 5:15 PM. Closed Mondays. Closed on Thanksgiving and Christmas holidays, and the museum closes early at 4 PM on July 4, Christmas Eve and New Years Eve. Admission Ticket Prices: $15 for adults, $10 for seniors, $6 students. Children 17 years an under are free. Free on the first Tuesday of each month. Fee may be charged for special exhibitions. Admission tickets to San Francisco Legion of Honor include same day admission to the de Young Museum.